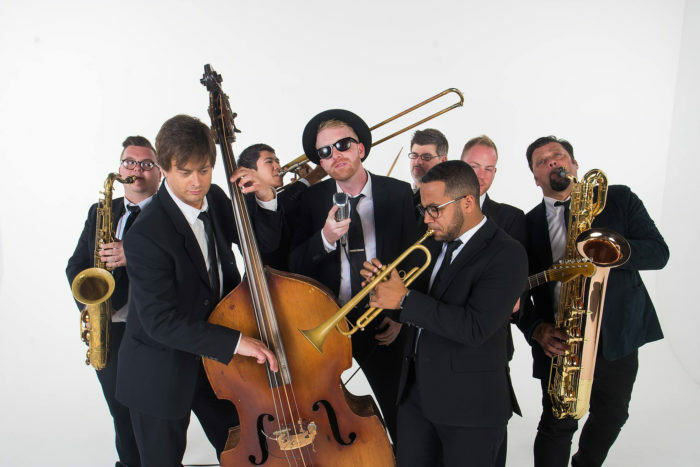 The heartchild of Weston Horn and his culmination of 15 years of playing and writing music, The Hush is an 8-piece ensemble, half of which is a thick-and-juicy horn section. Fan’s have lovingly nicknamed the band “The Foo’s Brothers” because The Hush brings the same raw rock-n-roll energy as The Foo Fighters, but tempered with funky, soulful, old-school horn arrangements. Super fun, eminently danceable.